The Danish Medicines Agency recommends people to be members based on the criteria that the proposed members must have a combined specialist expertise that can enable them to provide the best advice possible to the Danish Medicines Agency. 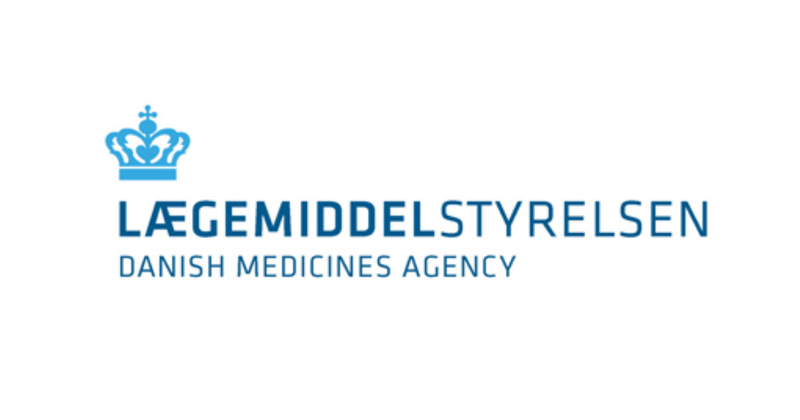 The Danish Medicines Agency invites interested parties to nominate members to the Medicinal Products Committee via a public notice. Anyone can nominate members to the Medicinal Products Committee, and self-nomination is also possible. The Danish Minister for Health appoints members upon the recommendation of the Danish Medicines Agency. The Minister appoints a Chairman and a Vice-Chairman independently of the received nominations. With the approval of the Minister for Health, the Danish Medicines Agency can set up standing committees to look into specific areas. The Minister for Health may appoint persons for the standing committees that are not members of the Medicinal Products Committee. The members are appointed based on personal competencies and relevant experience. The selection of members takes into consideration both professional background and documented scientific expertise, as well as association to research institutions and clinical practice. Knowledge of or experience with the regulatory system is also emphasised. The members must not have economic or other interests in any companies that manufacture, import or sell medicine if these interests could affect the impartiality of the members. The members must fill out and sign a declaration of interest form before the first meeting after appointment. These declarations must be attached to the meeting minutes. The declarations of interest are published on the Danish Medicines Agency's website – see the box to the right. On their own initiative, the members must fill out and sign a new declaration if what they have previously declared changes. Any new declarations must be attached to the minutes of the first-coming meeting. A committee member must not participate in the processing of a case if he or she has a personal interest in the outcome of the case, or if there are any other circumstances which could question his or her impartiality. Members must inform the Committee of any potentially conflicting interests before the processing of a case begins. The Committee decides whether the member may participate in the processing of the case. The Committee's decision must be recorded in the minutes. If a member has conflicting interests, he or she must must leave the room during the processing of the case concerned. Thus, the member concerned participates in neither the review nor the decision-making process of the case. The committee members are bound by professional secrecy regarding the confidential information they gain knowledge of as members of the Committee. It is the responsibility of the individual member to ensure that the material the member receives as part of serving on the Committee is not disclosed to any third parties. When a member resigns from the Committee, the member concerned must return all confidential material received while serving on the Committee. The Danish Medicines Agency provides a secretariat for the work of the Committee. The Danish Medicines Agency's CEO decides the extent to which the secretariat may assist the Committee. The Chairman summons the committee meetings in writing with at least eight days notice if possible. The secretariat may also summon meetings if the Chairman authorises it to do so. Notices of meetings must include an agenda. Moreover, the members must, if possible, be sent any documents regarding individual items on the agenda. The Chairman presides over the meetings. In general, the Committee can only make a decision when the Chairman or the Vice-Chairman and at least half of the committee members are present. If there are fewer members present, the Committee can still make a decision. To do so, the attending members must find that postponing the case would be of significant inconvenience to the individual or individuals of the case, or would jeopardise important health considerations. Generally, the Committee can only make a decision in a case if such decision is scheduled in the agenda. However, the Committee can still make a decision in a case which is not on the agenda if all members agree to do so. The Committee decides by simple majority. In the event of a tie, the Chairman has the casting vote. The Vice-Chairman has the casting vote if the Chairman is absent. If a committee member disagrees with a decision, the member's position must be recorded in the minutes. In agreement with the Chairman, the secretariat can in special circumstances present a case to the Committee in writing outside a committee meeting. A member may nonetheless demand that the case be processed at a meeting before any decision is made. At the next ordinary committee meeting after the written presentation of a case, the Chairman or the secretariat informs the Committee about the outcome of the case. If required and if it has been agreed with the Danish Medicines Agency in advance, the Medicinal Products Committee may obtain expert opinions. Time and place of the next ordinary meeting. Draft minutes are sent out as soon as possible after the meeting and at the latest when the next ordinary meeting is summoned. Any objections to the minutes must be made no later than at the next ordinary committee meeting. However, the Chairman and secretariat must be informed immediately if objections are made to the way in which the content of a decision is presented. The minutes of Medicinal Products Committee meetings are published in Danish on the Danish Medicines Agency's website. The Medicinal Products Committee meetings are not open to the public. The Committee can only hold meetings with third parties if agreed with the Danish Medicines Agency beforehand. Employees from the secretariat and other DKMA employees can attend the meetings as decided by the Chairman. Committee members must to the extent possible inform the secretariat if they are unable to attend a committee meeting. The Vice-Chairman attends to the Chairman's duties if the Chairman is absent. The Committee decides by simple majority who must function as Chairman if both the Chairman and the Vice-Chairman are absent. Agendas and minutes of the Medicinal Products Committee's meetings are available on the Danish Medicines Agency's website (in Danish only). The Danish Medicines Agency must not publish confidential information from agendas and minutes of meetings. Therefore, the names of medicinal products are replaced by the ATC code at the 2nd level. It refers to the place in the body that the medicinal product acts on. The ATC code is removed once a decision is made concerning a given application. When the minutes of a meeting are published on the website, the agenda of the same meeting is deleted. Published minutes remain on the Danish Medicines Agency's website for at least three years. The Chairman and all other members receive remuneration in accordance with Danish Government regulations. By the Danish Parliament's adoption of act no. 605 of 18 June 2012 amending the Danish Medicines Act (Danish title: "lov nr. 605 af 18. juni 2012 om ændring af lov om lægemidler"), the rules governing the Medicinal Products Committee were established. The legislative changes have been written into the English version of the Danish Medicines Act.